What are the Top Engineering Colleges in AP 2019? APECET Engineering colleges list and Fee structure details are provided here. Check top Btech colleges in Andhra Pradesh along with college code and Fee structure details. Andhra Pradesh State Engineering Common Entrance Test 2019 web counselling process is available here. You can also check APECET district wise colleges list and top 10 universities for Engineering. 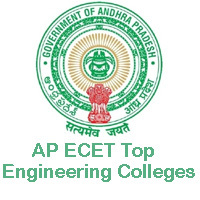 AP ECET 2019 Notification released on 11th Feb. Andhra Pradesh state ECET exam conducted every year by the Jawaharlal Nehru Technological University Anantapur on behalf of the AP State Council of Higher Education (APSCHE). A Huge number of diploma in Engineering holders applied for APECET exam, successfully completed their exam and AP ECET Results 2019 are also released. Now it’s time for Andhra Pradesh ECET certificate verification and the web counselling. Hence we provided the Top Engineering Colleges list in AP in the below sections of this page. Students can check the APECET college list and new engineering fee structure details 2019 on this page. The APECET exam conducted by APSCHE to give admissions for lateral entries in Engineering colleges. Direct Admissions are given to enter into Btech 2nd year for all the students who qualify in AP ECET 2019. All the diploma holders and B. Sc (Maths) degree holders, who have a dream to study Engineering can scroll down this page and select the best college. So, students who want to study. engineering in the top university can check the below table before going to the APECET 2019 Web Counseling process. Along with this, all top AP ECET universities also mentioned below. So, you can check the top universities and Colleges in the following sections of this page. Therefore, to get more details about the Top Engineering Colleges you can visit the official site. Organisation Name: AP State Council Higher Education (APSCHE). Name of the Exam: APECET 2019. Exam Date: 19th April 2019. Date of Result: 29th April 2019. Category Name: AP ECET College list and Fee Structure 2019. Sir I’m applied for TS ECET only.So,I want to study b.tech in AP .So,what I have to do sir. Sir I got 853 integrated rank&280 branch rank in Ecet.If I got seat in any government colleges & university.If I got seat in other states through Apecet . Sir , are you eligible for fee reimbursement in ap ? My daughter got integrated rank 1655 and branch (EEE)rank 268 so pls advise any govt seat can get in spans other doubt is that how many non local govt colleges are in AP for AUD region. please tell me about fee of engineering colleges ..
Are old or new fee structure ? Sir i got 7290 rank in apecet 2017. So, i want to which college in ap is best for me to study btech in mechanical. My caste in (oc). Sir i got 7290 rank in apecet 2017. So, i want to know which college in ap is best for me to study btech in mechanical. My caste in (oc). Sir/madam i got 910 branch rank in ecet 2017. JNTUK and JNTUH and SVU…in these colleges which college I will get sir……. Sir! I got 923 rank in TSECET.My branch is EEE.And I am OC. What are the top colleges suited for my rank sir? I got 10th rank in MINING branch and integrated 457. Este (Ts or Ap ) a government estundhi. Integrated below 1000 kada full fee reimbursement vastundha. Mining ku anni colleges,anni seats unnai. whatever rank u got the government will pay fee reimbursiment upto 35000 and if u r selected college has fee above 35000 u have to pay ,if u r sc/st candiadate then govt will pay total fee. hi sir good morning my son alloted to MIC college but we are interest VRSE college for btech (diploma)based i dont understand which college best ? could you please tell me good suggation. Sir I have a doubt ……. I’m studying diploma in electronics and communication engineering in andhrapolytechnic ……I wonna to study my btech in siri venkateswara university……. Are fee stated above are included with the fee reimbursement or not?? i got 944 rank in ap ecet and studying computer science&engineering. Sir I got 117branch rank and 684 integrated rank in ece department can I get seat in Andhra university and JNTUK. Hi. My bro got 321 rank and he s cuvul can u please tell is there any chance of getting universtes and he s general boy? Sir I got 73 rank in branch and 603 integrated rank in AP ECET held in 2018. I want to join in JNTU K. Is it possible?